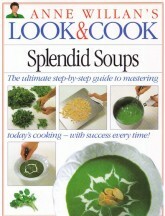 Anne Willan’s 17 volume Look and Cook series (Dorling Kindersley, 1992) is a collection of cookbooks with step-by-step instructions accompanied by step-by-step photographs. Each book covers a specific category of cooking from chicken to pasta to salads and desserts. More than 2 million copies sold worldwide in hardcover and paperback editions; paperback editions use titles such as Perfect Pasta or Perfect Salads rather than Look and Cook but include the same content. Unprecedented in both scope and clarity, La Varenne Pratique (Crown, 1989) is the essential culinary reference book for both novice cook and expert. 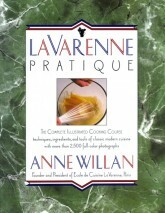 Compiled by Anne Willan, using La Varenne Cooking School's extensive resources, the book brings together a practical understanding of cooking techniques, ingredients, and equipment in an unrivaled guide to classic modern cooking. Published in the UK as the Reader’s Digest Complete Guide to Cookery, and soon to become available as an eBook, (Gerber Rigler Books, 2012), La Varenne Pratique is a veritable encyclopedia on cooking. More than half a million print copies have been sold worldwide and there are six foreign language editions. 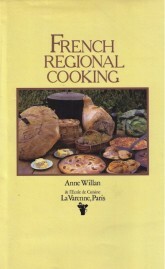 Anne’s first book on French regional cooking, (Willilam Morrow, 1981), covers dishes unique to the 12 regions of provincial France including Burgundy, Normandy, Provence and Languedoc. The traditional specialties of each region - first courses, main dishes, desserts, breads and cakes - are described and illustrated.